Refurnished 2BD/1BA bayfront upper unit. Fantastic bay views! Walk to Balboa Fun Zone, restaurants & pier. 2 Patios with BBQ. Wi-Fi/Cable/DVD/Linens. Private washer & dryer in the unit. 1 carport space. Oceanfront Retreat. Patio on the Sand, Remarkable Views! 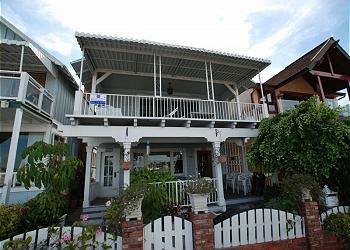 This welcoming, relaxing lower level oceanfront home is located on a peaceful stretch of beach in West Newport & includes all the comforts of home. 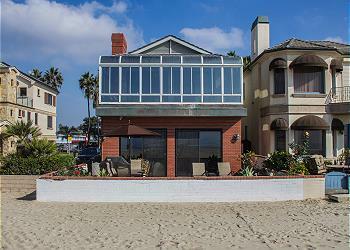 The roomy front patio on the sand boasts breathtaking ocean, Catalina and sunset views. 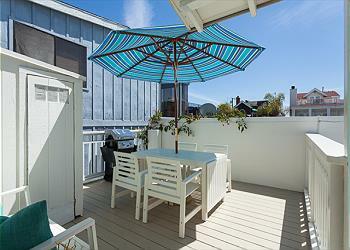 Remodeled 1 Bedroom Cottage Steps From The Beach, Large Balcony, with A/C! This lovely back house sits atop the garage. Original wood floors welcome guests into the light and bright living area. The master bedroom features a California king bed. The kitchen has an island with seating for 4. 1 car garage parking. 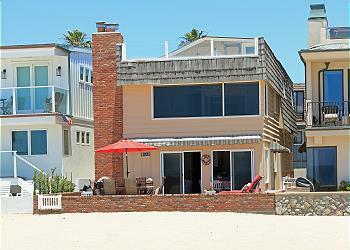 Spacious Oceanfront Single Family Home. Beautiful Views, Patio, 3 Car Garage. Serene. Stylish. Spacious. 5911 Seashore Drive is all of this and more. The three bedroom, four bath single family residence will quickly become your favorite home away from home. 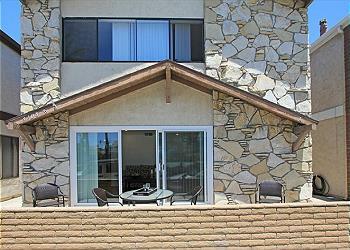 Large patio right on the sand, huge master suite, 3 car parking.